History. . . BORING! That's how I used to feel when I was in school! All those dates I couldn't keep straight. And what did it have to do with me? 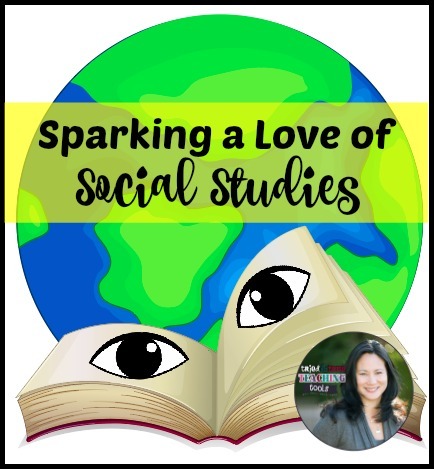 Forward the clock 30 or 40 years and social studies has become one of my favorite subjects to teach! The old cliche that history repeats itself has never been more true than now. And THIS is what my fourth graders have noticed and commented on! Too often. 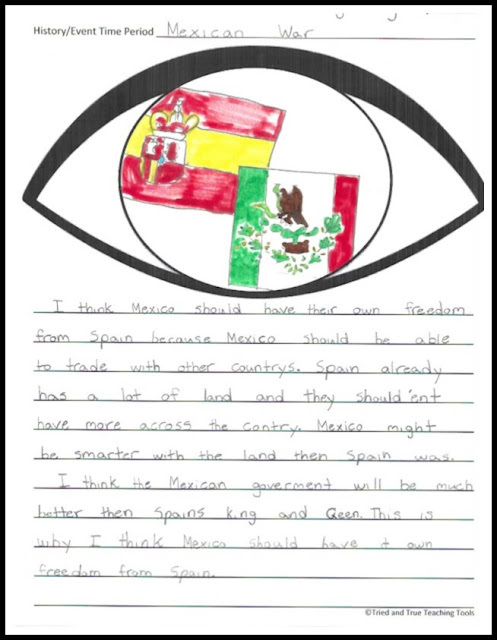 our district-mandated textbooks give a dry and limited perspective on events in history. Teaching students that there is more than one side to a story and to understand various viewpoints is a critical thinking skill! 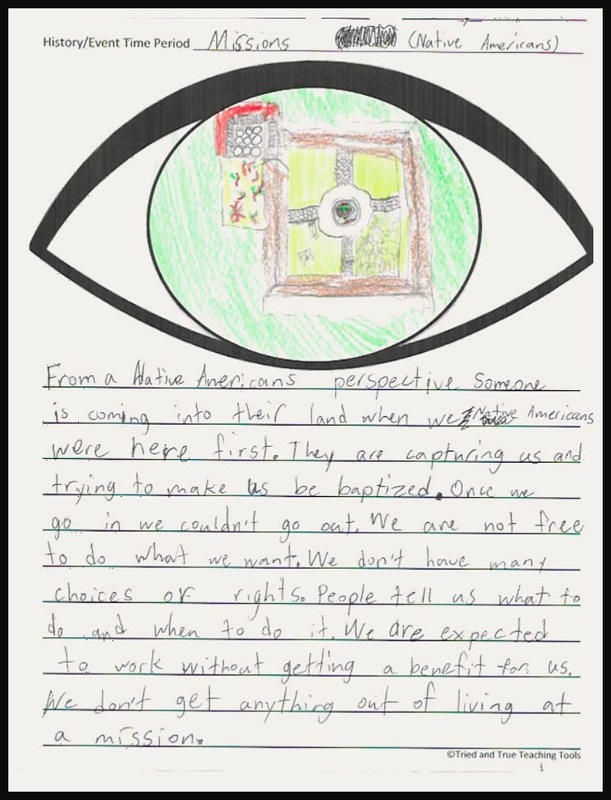 A simple strategy to get your students to LOVE social studies and practice taking on different perspectives is by using an eye template. After classroom discussion and charting of facts (evidence) and ideas, taking into consideration ALL viewpoints, students "choose a side". In the pupil of the eye, they draw about the event or time period. Then on the lines below, they write their argument. Although this template can be used across the curriculum, I love using it to teach history. This would also be a terrific way to have students take on the viewpoint of particular characters in a story. 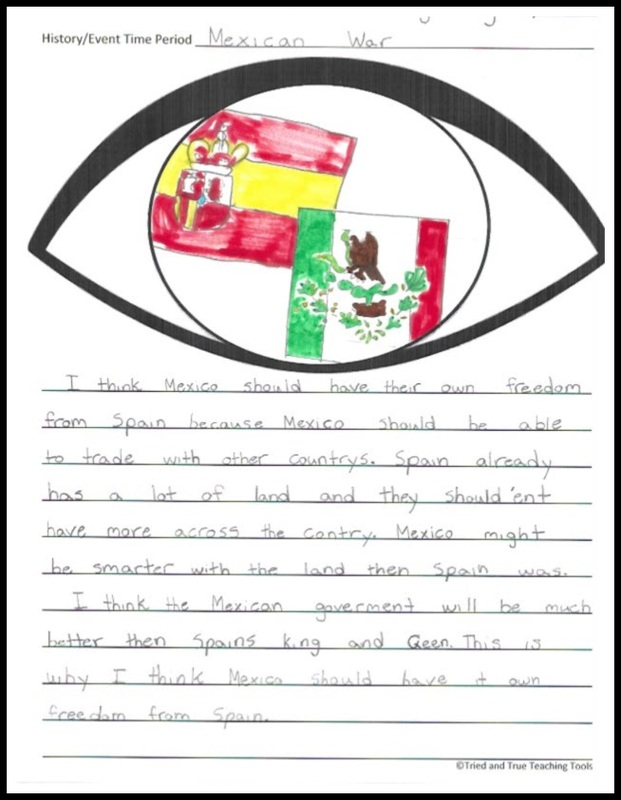 Or give kids two eye papers and have them write about an event or topic from two different perspectives. How great would this be to plan for a persuasive essay? or a debate? There are so many possibilities! 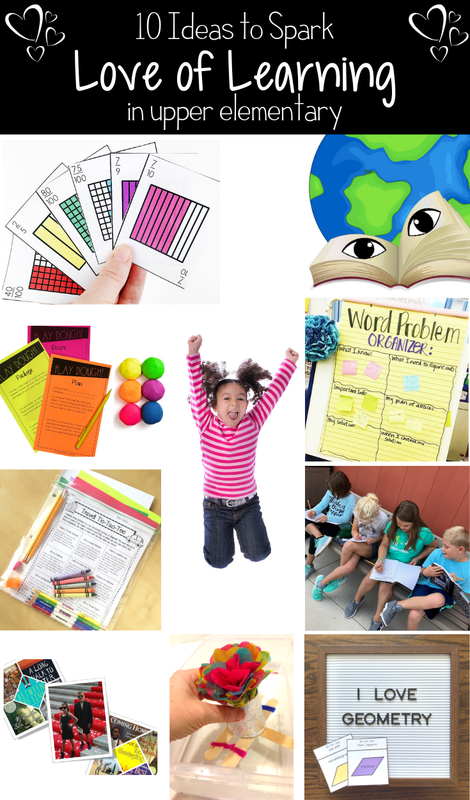 Your students will LOVE using these templates! 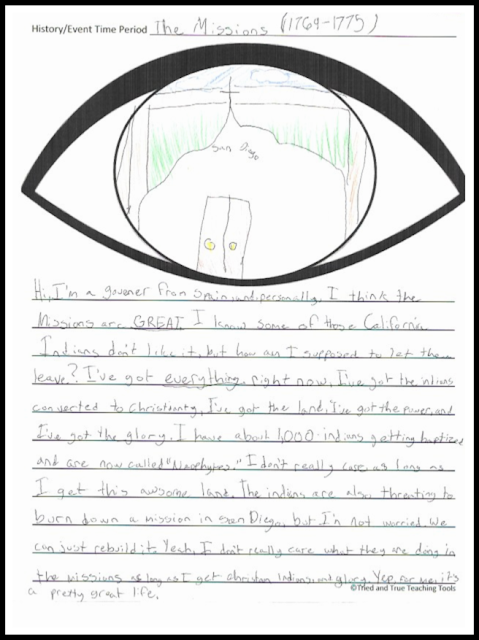 You can download your FREE copy of this eye perspective template HERE. How do you teach perspective to your students? I totally and completely LOVE this! What a simple way to teach a powerful concept.